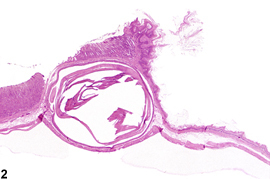 Stomach, Forestomach - Cyst in a male B6C3F1 mouse from a chronic study. 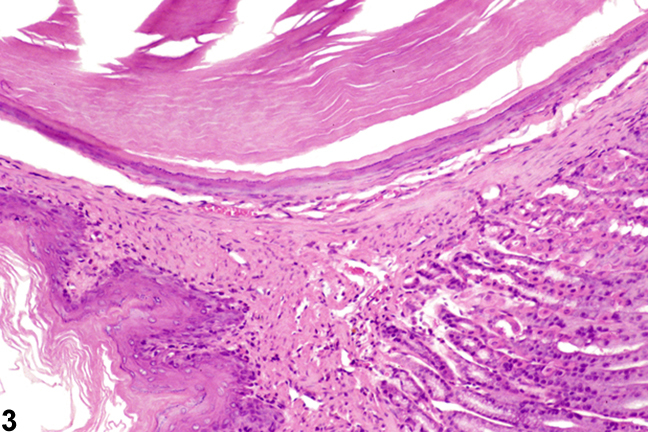 A keratin-filled cyst is present in the submucosa of the forestomach. 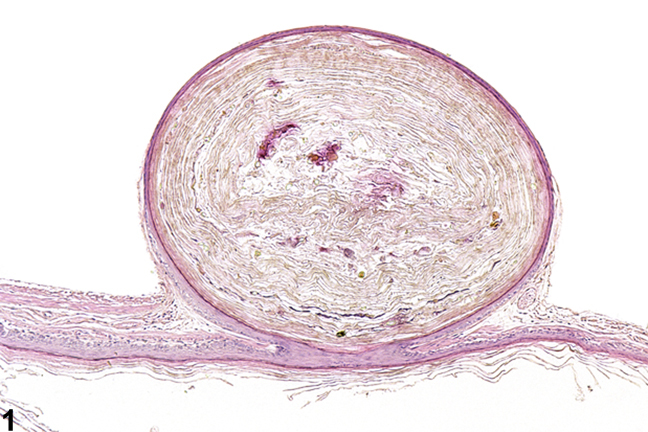 Stomach, Forestomach - Cyst in a female F344/N rat from a chronic study. A keratin-filled cyst is present in the submucosa at the junction of the forestomach and glandular stomach. 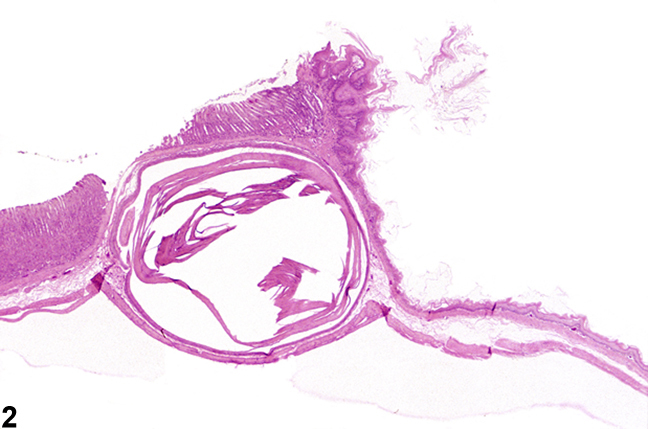 Stomach, Forestomach - Cyst in a female F344/N rat from a chronic study (higher magnification of Figure 2). 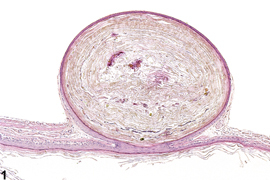 The wall of the cyst exhibits normal cellular maturation.